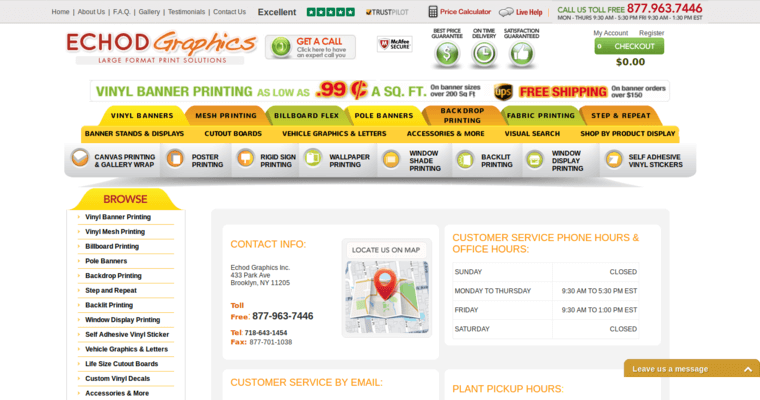 When customers need high resolution images or text or large print jobs, they want to work with a company that can deliver a high-quality product. 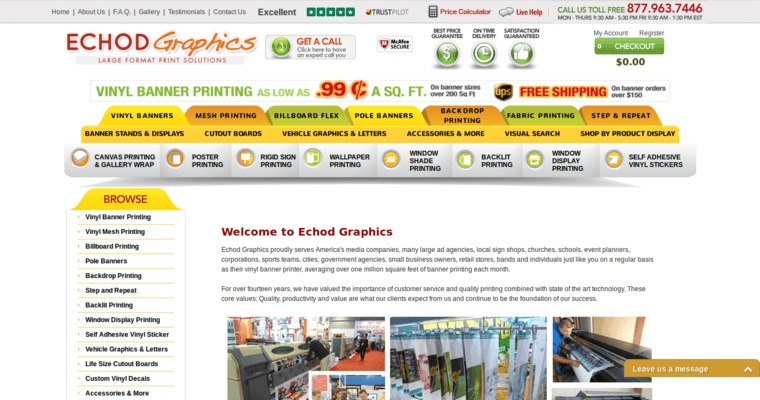 For 14 years, Echod Graphics has been a leader in its industry because of its use of art-of-the-state technologies and highly detailed work. The company can provide high-quality banners, photographs, fabric and mesh signs and car graphics in five days. For jobs that need to be completed more quickly, the company provides a six-hour rush service. Echod Graphics has worked with a wide variety of clients, including media companies, schools, churches, sports teams, retail stores, small businesses, corporations and event planning companies, providing them with finished products that allow them to show their school pride, market their products or businesses or educate the public. 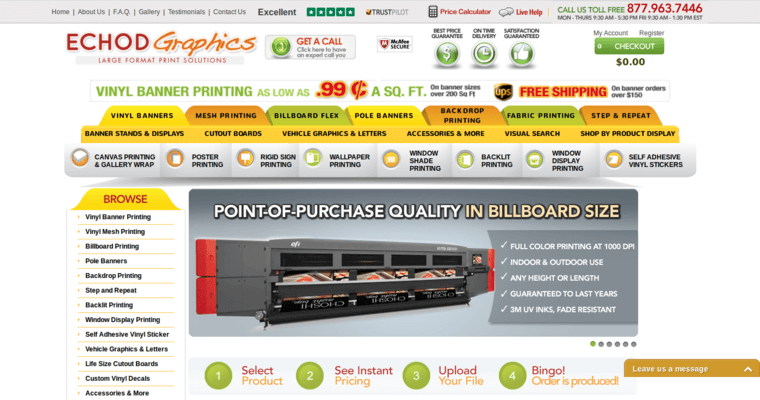 The company works with top-of-the-line document printers that can produce signs or banners of up to 16 feet, in vivid colors and designs.